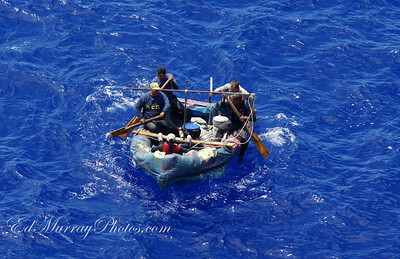 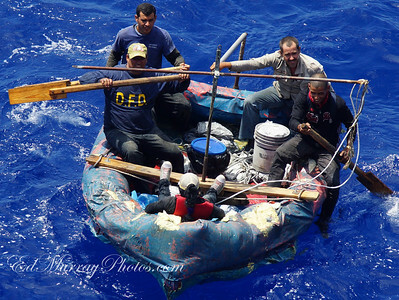 Taken From the Huffington Post: Tuesday 4/16 - MIAMI -- A Disney cruise ship picked up a group of migrant rafters off the Florida Keys. 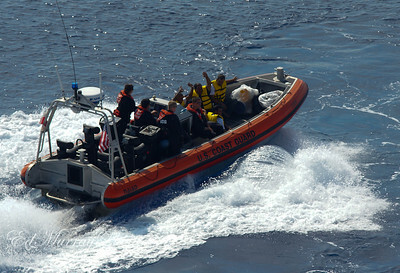 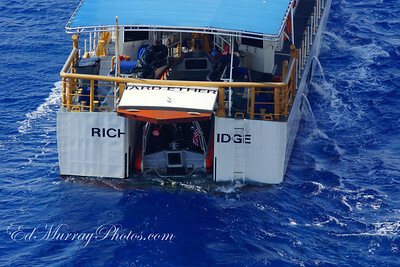 Ensign Pete Bermont says the U.S. Guard retrieved five people from the Disney Wonder Tuesday afternoon. 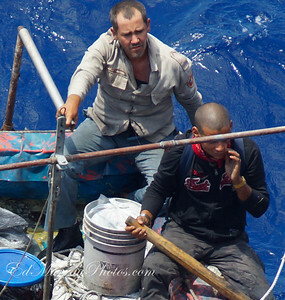 Their nationality wasn't immediately known. 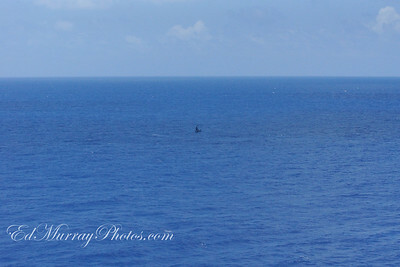 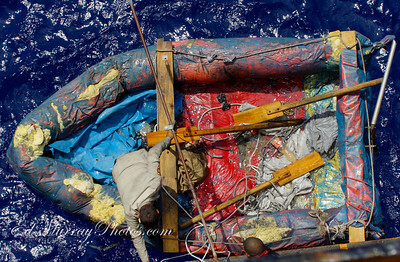 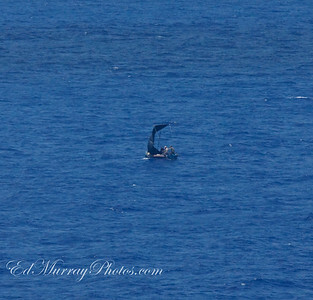 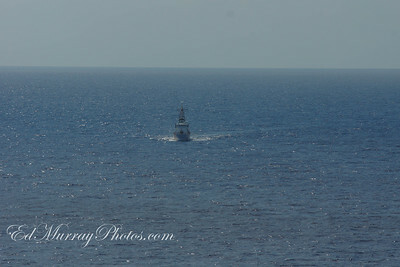 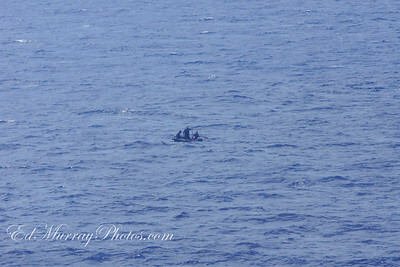 Tuesday Morning 4/16 at 11:00 - a make-shift raft was spotted off the port side of the Disney Wonder. 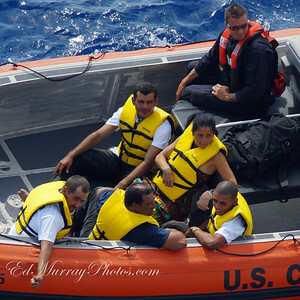 The Wonder stopped and rescued all five rafters - 4 male and 1 female(in the bow), then remained on scene for 2 hours until the U.S. Coast Guard arrived. 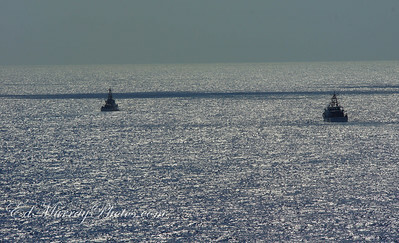 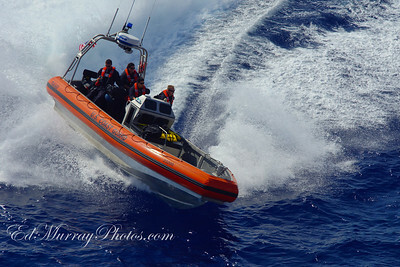 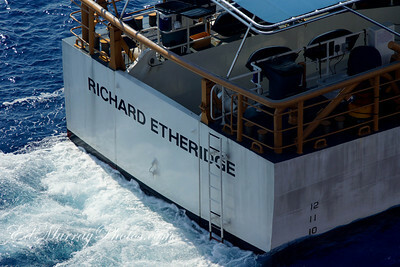 The Etheridge deploys a small speed boat to the Wonder for the transtport. 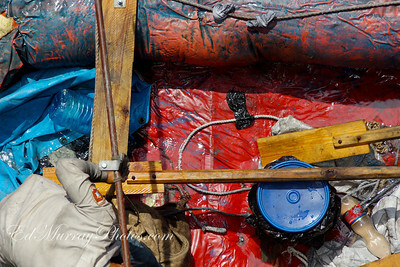 The Rafters are transfered to the custody of the Coast Guard. 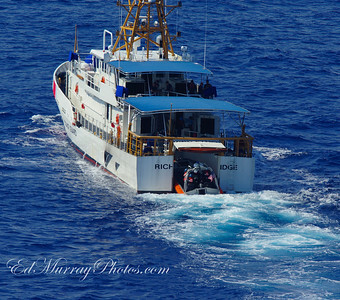 Both Cutters and the Wonder part ways.